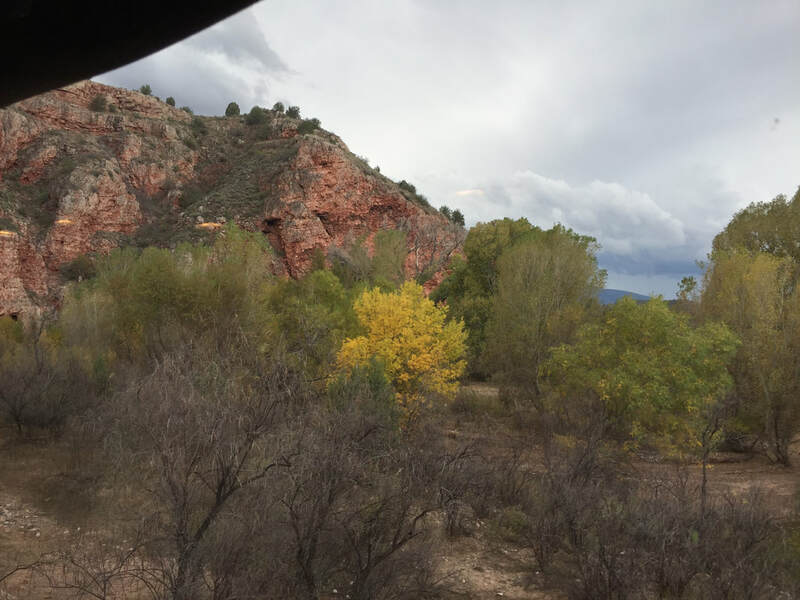 Some 20 miles southeast of Sedona is the town of Clarkdale. 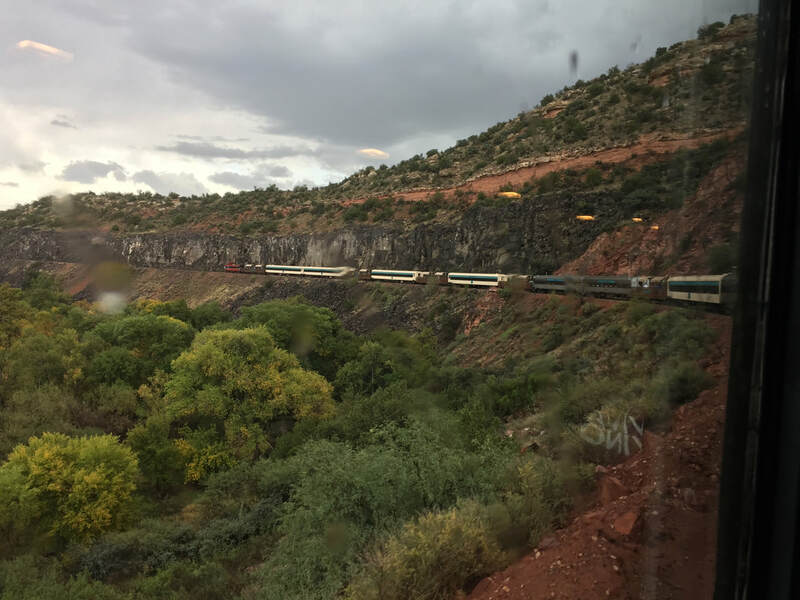 That's where you'll find the depot for the Verde Canyon Railroad, in operation since 1912. 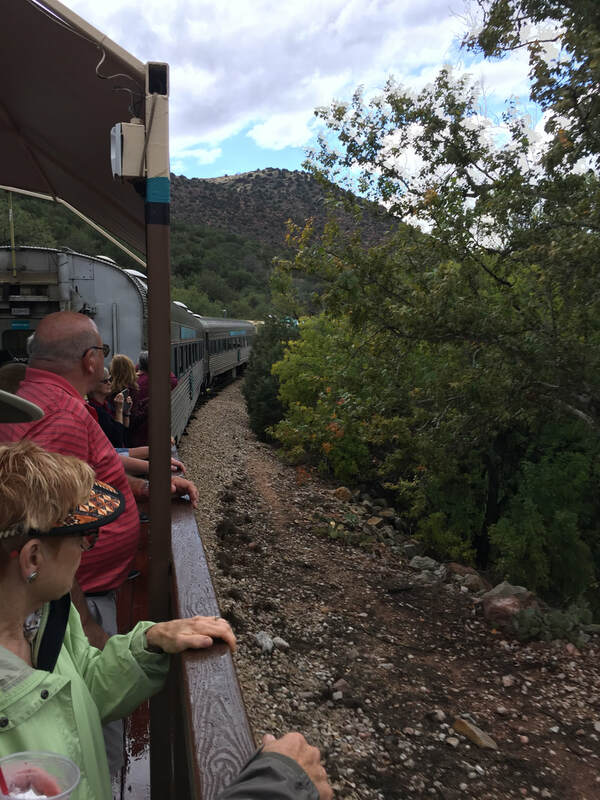 You know how we love trains, so we had to take their four-hour excursion through Verde Canyon. 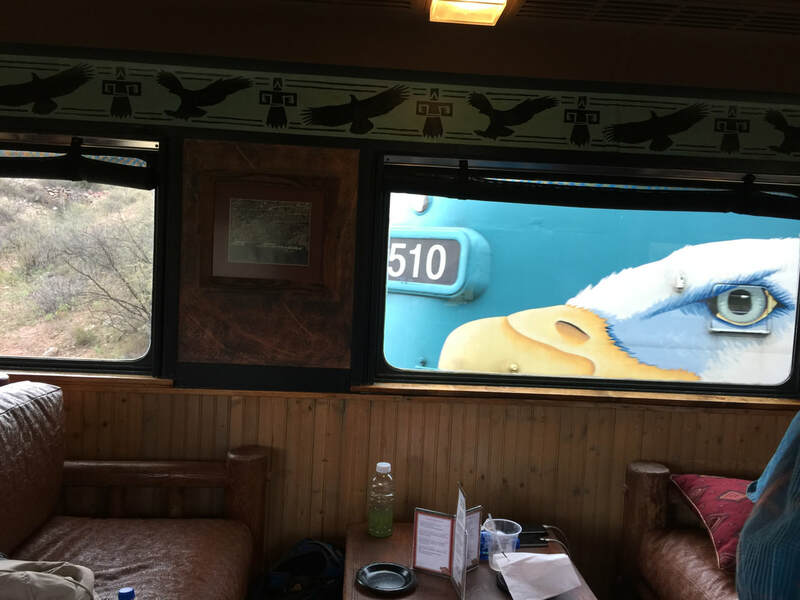 The open-air observation car is a great place to soak up the scenery and listen to informative commentary (and occasional jokes) from the staff. ​drinks and plush seating. Route Red is a house wine. 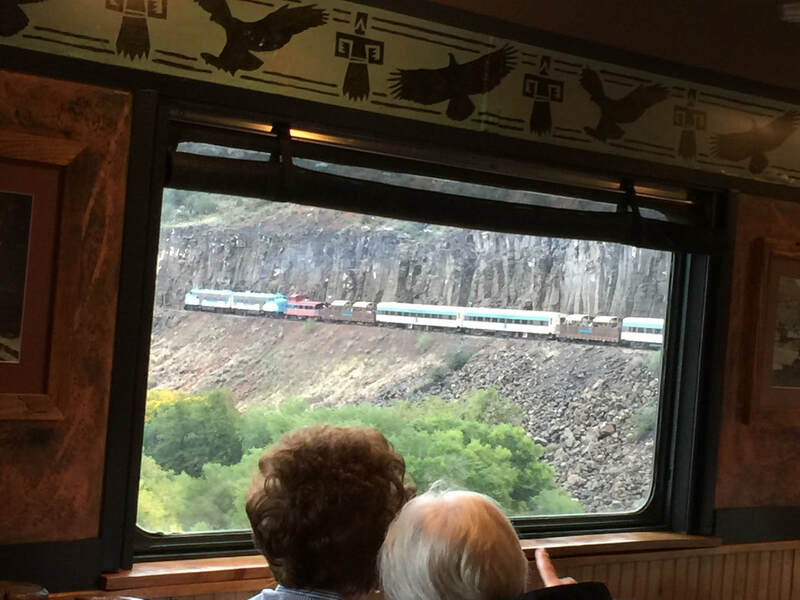 The train carries almost 100,000 passengers a year. The train travels 20 miles to Perkinsville and back, including passage through a 680-foot tunnel. In the Sixties, scenes for the movie 'How the West Was Won' were filmed in Perkinsville. 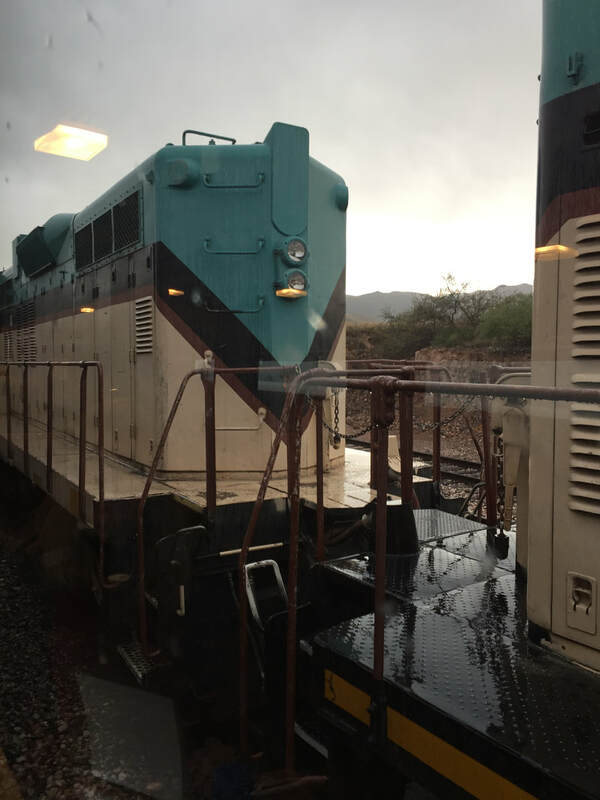 ​ get this big in Arizona?